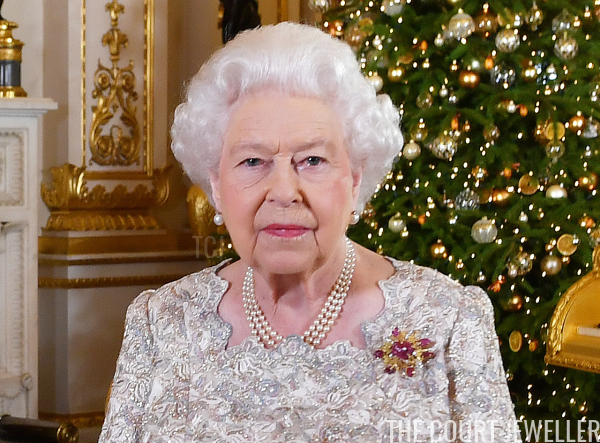 Every year, the Queen resides at the Sandringham estate in Norfolk from the middle of December until the second week of February. 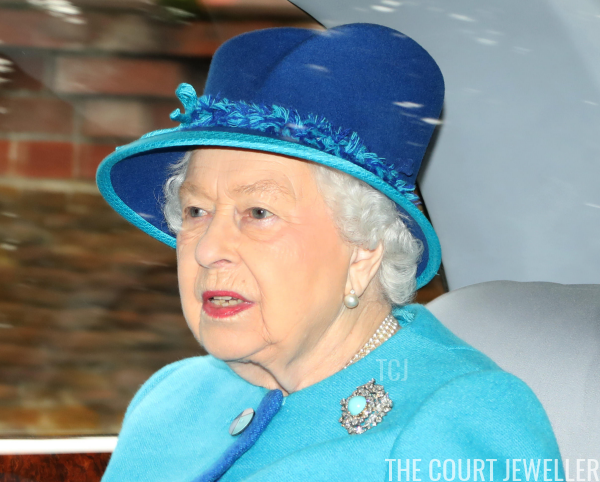 Now that she's officially back in London, here's a roundup of some of the brooches we saw this Sandringham Season! 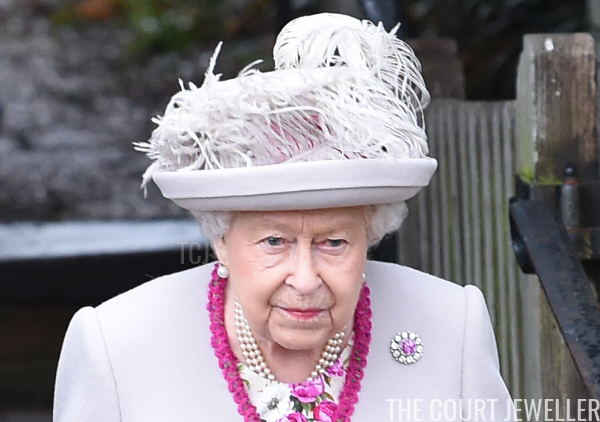 For Sunday church services at St. Peter's in Wolfteron on January 20, the Queen didn't wear a visible brooch. Perhaps she pinned one to the green dress underneath her chic camel-colored coat? 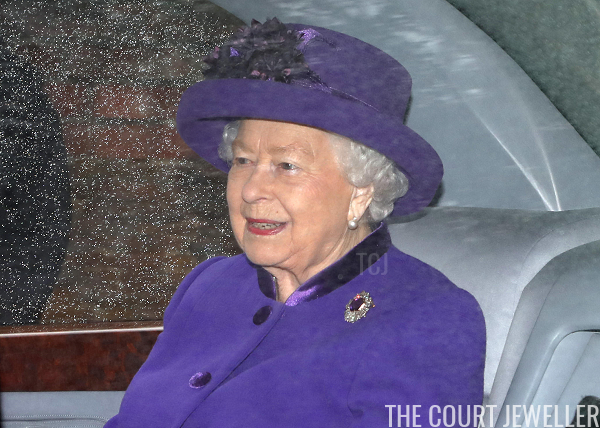 Inclement weather sadly spoiled our brooch-spotting on February 10, when HM wore a raincoat over her outfit as she traveled to and from a church service at St. Mary Magdalene. 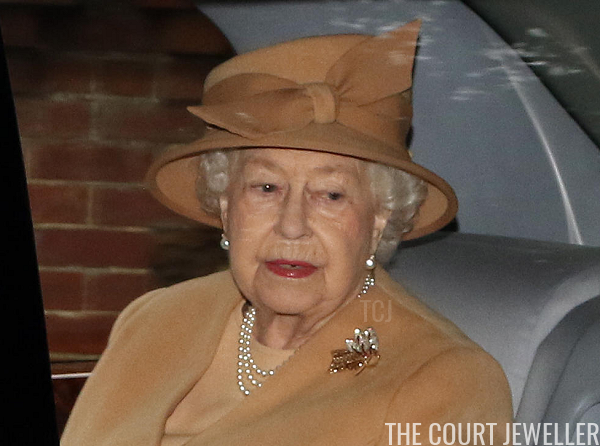 And, as per usual, the Queen didn't wear a brooch as she traveled by train back to London on Monday. 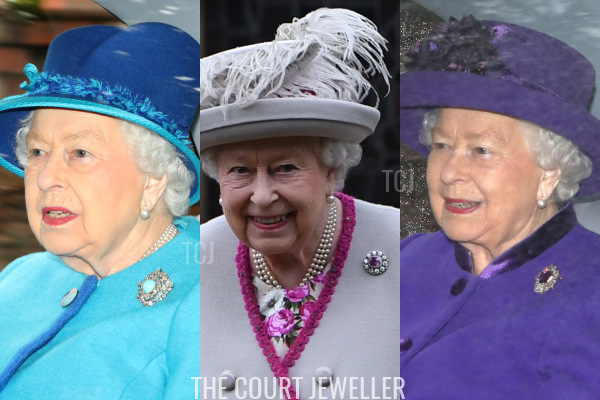 Which brooch would you have paired with this outfit?